Boom arm is 20 from pole including light. Counterweight balance arm is 14. 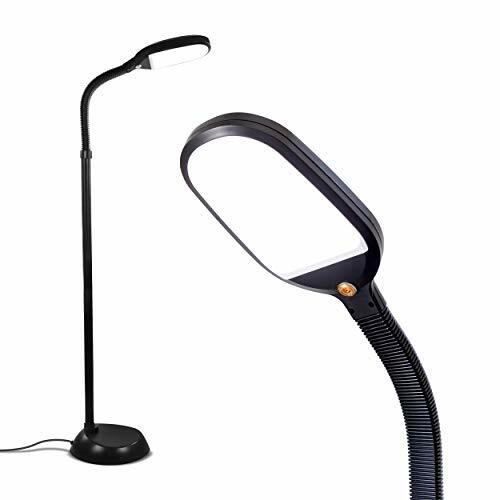 The simplicity of the lamp's design allows you to have it upright and glowing within minutes. 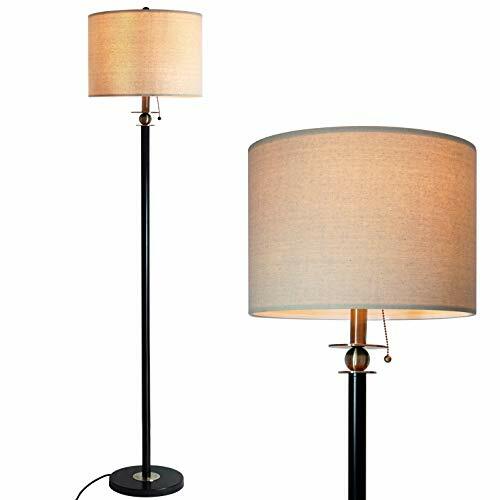 Your energy saving floor lamp will arrive packaged with the light fixture, pole sections, floor lamp base, and plug-in adapter wrapped separately. Jet black, brushed nickel, dark bronze, platinum silver, or sleek white finishes are available to accommodate your interior design or color scheme. 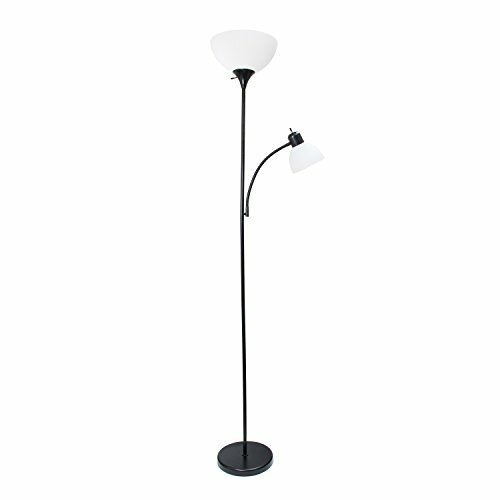 The slenderness of the lamp allows you to position it in the tightest corners or spaces. 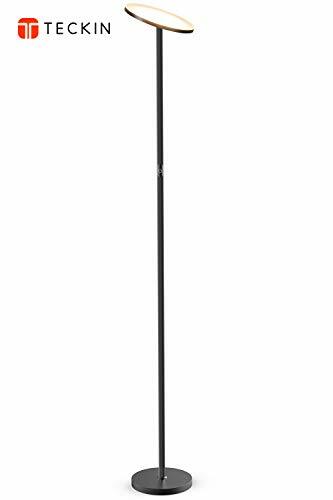 Lamp cord extends just over 7 feet. 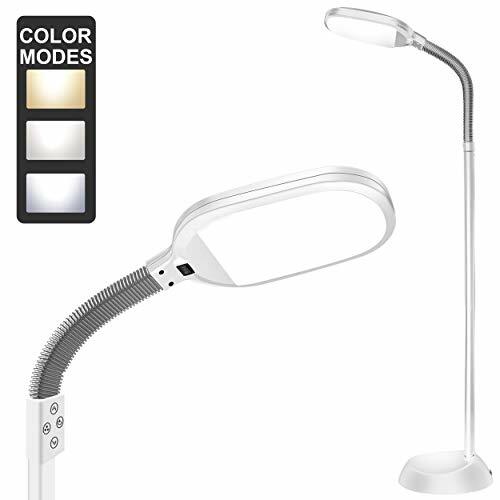 In addition, the LED light never has to be replaced because it is integrated into the fixture and expected to last over 20 years! CONTEMPORARY STYLE & FUNCTIONAL CORNER, BEHIND THE COUCH LAMP: The slender SKY slides unobtrusively into narrow corners, and the base fits beneath most sofas, recliners and reading chairs. 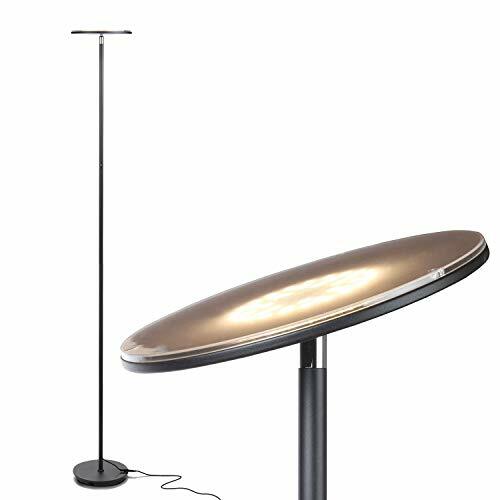 It provides warm light in your indoor space without taking much room, and its head easily pivots to shine in any direction that you need. 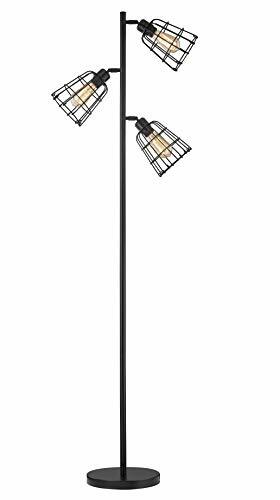 It fits well with urban, art deco, mid century modern, casual, contemporary, or ultra-mod d cor. 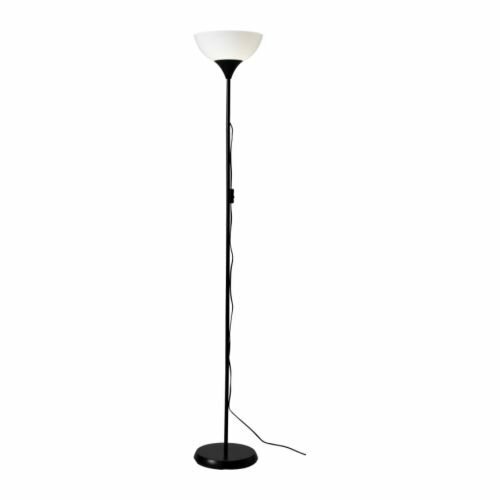 Do you want to accentuate your room atmosphere, elegance, and style with this modern floor lamp? 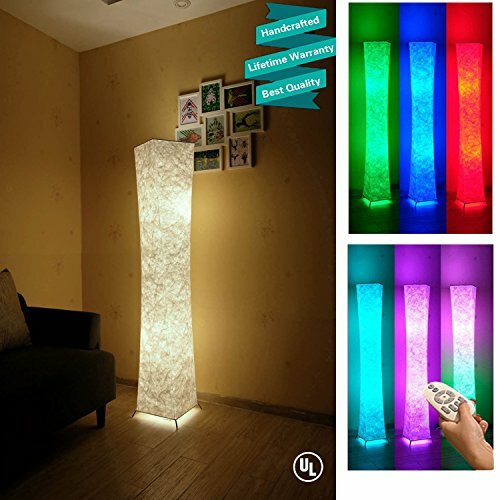 Image when you place a white carpet under the heavy lamp base, read books or chatting with friends. Will it make you feel the difference.in this place? FINXIN always follows the principle of Simple Life Simple Love so as to provide good quality and reliable original products for every consumer. 1. 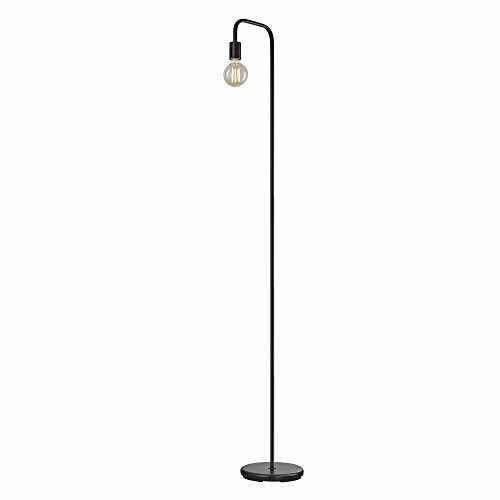 Whether you are reading a book on a chair or working at a desk in a fast distance, you can easily find the position of the switch because FXFL01 contemporary floor lamp is designed with a pull chain and power floor switch. 2.FXFL01 lampshade of our house lamp is made from pure linen, featuring strong light transmission function, which helps to brighten up the room. 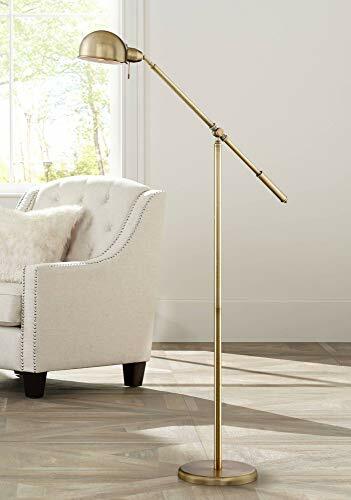 3.This floor lamp contains an Edison light bulb, which provides your home with soft and enough interior lighting, making your friends who come to visit you feel cozy and warm. 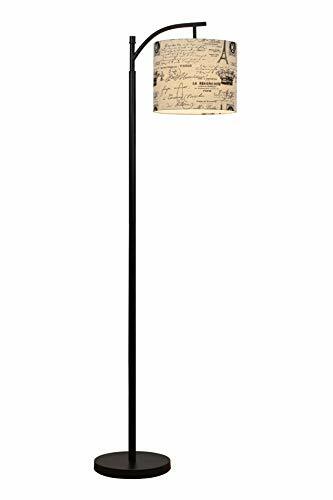 4.The metal pole and the base are matched with classic oil rubbed bronze finish, suitable for placing a floor lamp in any space. 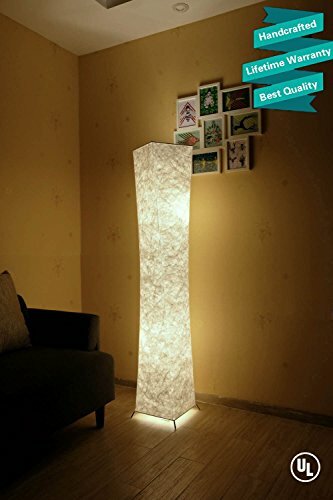 1.The dimmable lamp is sturdy and tidy, and the installation process takes you only a few minutes, allowing you to use and own it in a fast way. 2.The metal pole surface is smooth with a thickness of 0.12 inches. 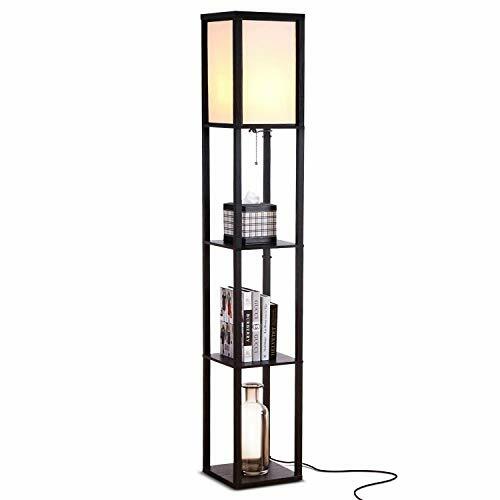 4.The simple and elegant design of this 63-inch standing lamp makes it easy to place any space in the bedroom, office space, executive suite, library. 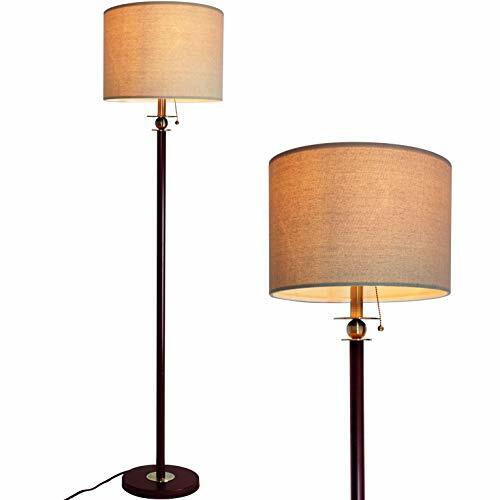 DOUBLE LAMP SWITCH The modern lamp is designed with two switches. 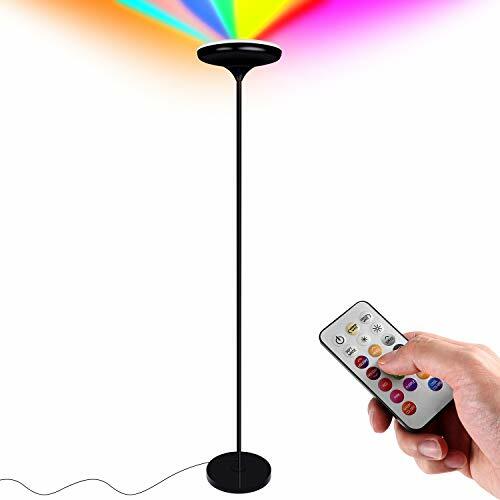 With the floor button, it is very convenient for you to turn it off and on. 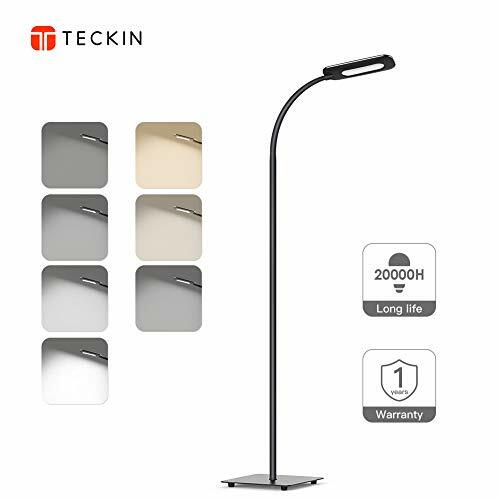 And the pull chain switch can be used to operate the lamp easily, quite suitable for placing it on the headboard, sofa, seat, side table, and corner. 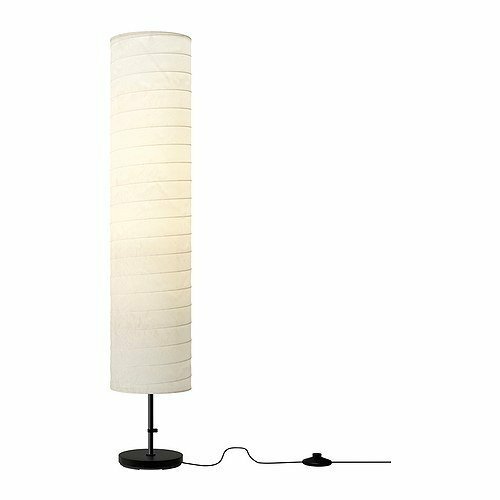 ELEGANT DESIGN The lampshade of uplight floor lamp is made from neutral linen reel, perfectly going with the oil-coppered pole surface. Lampshade gets snapped into clips inside the circular frame, adding elegance feels to your bedroom or office and creating a comfortable space for you. 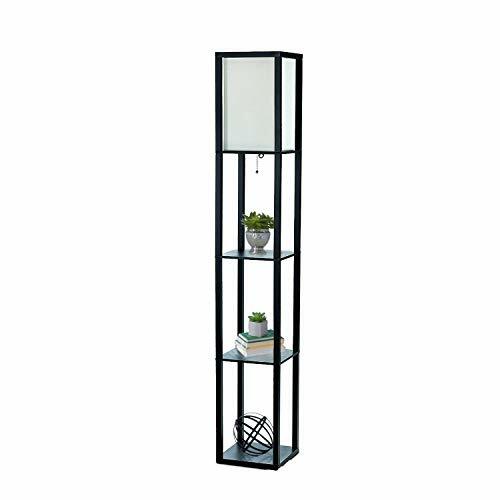 SAFETY AND DURABILITY The base of the standing lamp is made of metal which is not flimsy, heavy enough not to tip over accidentally. 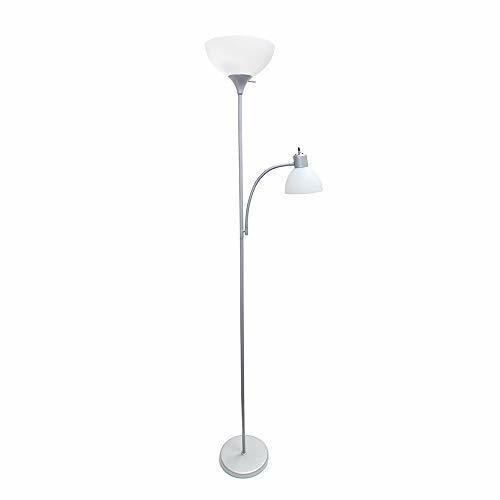 Lamp pole is thick and stable ensureing children and pets' safety when they are in the room. 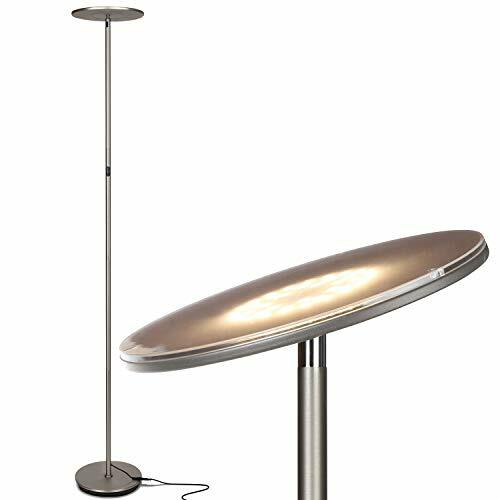 SUPERIOR QUALITY GUARANTEED The floor lamp is designed with a thick standing pole made from 3 layers of 8H grade paint which will not fall off even the standing lamp hits on the floor. 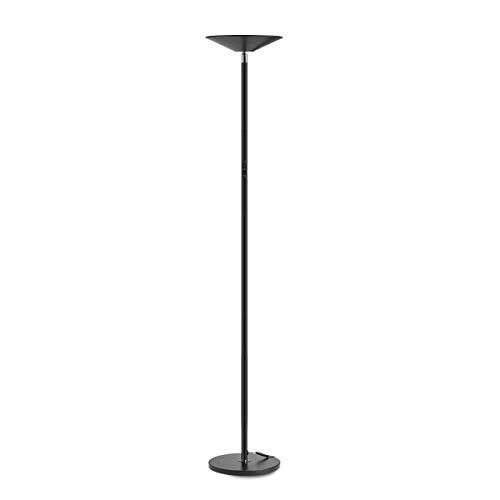 The lamp pole will not bend due to the spiral seamless connection style. 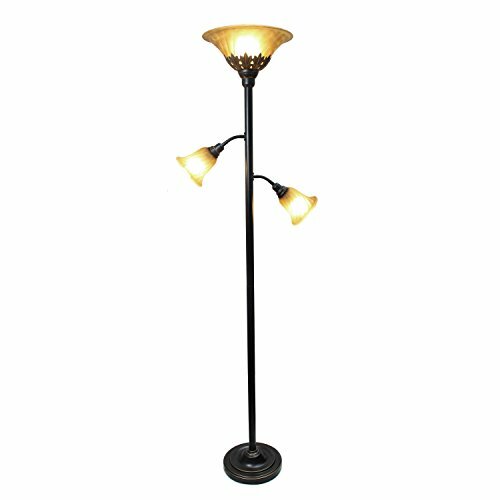 100% Satisfaction Guarantee The installation of standing pole light is simple, which takes you only 5 minutes to finish. Due to its material, it features a corrosion-resistant function, durable enough that can be used for 10 years. And we provide our product warranty for 10 years.